I can think of no better way to reveal the brainwashing of my fellow Americans, than to reveal it through my hometown newspaper. The Post Courier is a Pulitzer Prize winning publication in Charleston, SC. The newspaper has for generations carried local and world news to the people of the “low-country”, where I grew up. But South Carolina’s most powerful print media is also the policy arm of the American elite. Here is my view on what’s wrong with America’s press. I am forced to write this, you know? The war on truth has come to this. As fair people, and as caring Americans, sooner or later a choice has to be made in between desperately held tradition and belief, and the hard, cold facts of life. For my part, I grew up agnostic to elitism, or maybe I should say “naïve” as to its ravaging teeth. 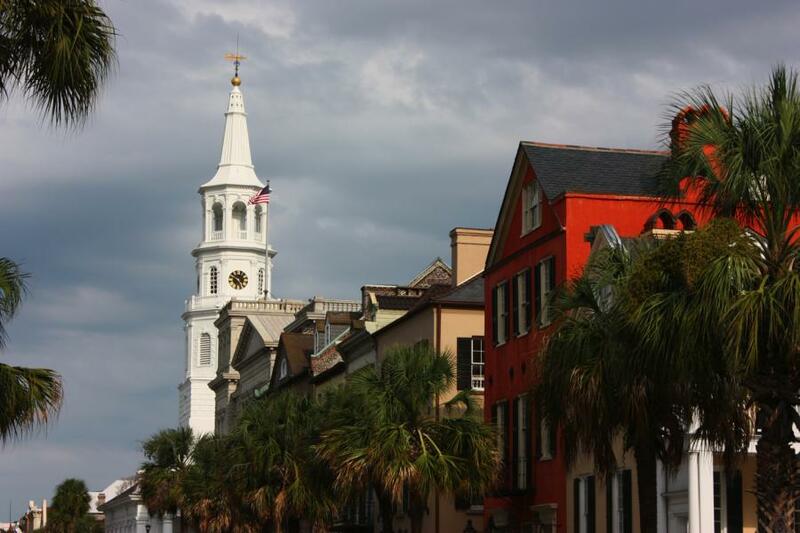 But then, Charleston has a melancholy effect, its mix of charm and wealth being so striking, and yet so brutal. Oh, but I speak metaphorically. I am sorry, the subject here is power, and how the powerful wield it. I am here to tell you about one city newspaper, one that I believe bends the opinion of its readership. The Post and Courier is one of America’s oldest daily newspapers, with origins dating back the founder, Aaron Smith Willington, who is said to have rowed out into Charleston harbor to meet ships from New York and abroad, in order to get “the news” before his competitors. “Despite Myers’ tendency to bog the reader down in too much detail sometimes, this book is a thorough, truthful story of Putin’s “Rise and Reign”, the professor notes. Dr. Ingle seems like a nice lady, smart, professional, like all the professors I recall from the college. If not for the departure outside literature and language in this review, I’d surmise the publishers of the Post and Courier might have lured her to do this piece. The professor departs though, from journalistic review into State Department-ish regurgitation, of the “Dr. Evil Vladimir Putin” technique for propagandizing. But the “lure” of the Post and Courier, as the only print media game in town, it’s always there for professors, and for plumbers. I’ll avoid being contrite here, and move on the Post and Courier’s political sway toward war mongers and international investors. Agenda. If you are looking for the “cause” for anything, finding out “why” is usually not so hard. The agenda of the Post and Courier (past and present) is found in the power of policy, as formulated by the press. This is not news; it has been going on at this newspaper since way before I was a kid roaming King Street to find a toy, a movie, or a snow cone. In Vietnam, for instance, the Post and Courier leaned to the “hawkish” side of the war, toward the low-country industries that profited from the war, and benefitted the city and the elite investors of the south as a whole. I recall the conversations at the tables of the Charleston Yacht Club, and being chastised for interrupting grownups talking about General Westmoreland, in the dining room of the Charleston Country Club. From Market Street’s classy restaurants, to kids playing on the Civil War cannons at White Point Gardens, we were all little hawks back then, in 1965 at least. But I can take the reader back far past Vietnam, deep down into deep south society, and even into the immense power leveraging US policy these days. The Post and Courier ownership coincides a bit, with my own family history, and ideas and tales of southern legends. In this story you are reading we have the Post and Courier newspaper, the College of Charleston, US policy, Vladimir Putin, and allegations of propaganda. “My, oh my”, my mother Delilah would shake her head and say. Well, let’s see why Vladimir Putin the evil genius is so negatively revealed in this newspaper. Will the South “Rise Again”? Arthur Middleton Manigault was a French who was a French Huguenot born in La Rochelle, France and settled in Charleston. His mother was the South Carolina’s Lt. Governor, Charles Drayton, and the granddaughter of the second president of the First Continental Congress. His great uncle, Arthur Middleton, signed the Declaration of Independence. Manigault was a hero of the Confederate States of America, a Civil War and Palmetto Guards, and later Brigadier General after the famous “Atlanta Campiagn” that saw the south burning down (figuratively and literally). Arthur’s grandfather, Peter Manigault, was the richest man in the colonies before the revolution. To preserve your time, the context here is that the Post and Courier is owned by the Manigault family now. Bought back in 1896, the newspaper and its other enterprises have been in this family for generations. Today, Pierre Manigault runs the family operations. Like his father, and his father’s father, the new Manigault is a member of everything in Charleston society that matters. He is Chairman of the Santee River Focus Area Task Force and a board member of the Historic Charleston Foundation, the Middleton Place Foundation, Magnolia Cemetery, and the National Steeplechase Foundation. He is also a past board member of the Lowcountry Open Land Trust, the Gibbes Museum, the Preservation Society of Charleston, the Historic Rice Fields Association, the Palmetto Conservation Foundation, and the International Crane Foundation, and he is on the College of Charleston’s Library Steering Committee, just to name a few. “Old money”, this is the term used to identify who really runs things in America, and the Manigault family has always been in “the thick” of controlling. To find quick and easy evidence of anyone’s ties to policy, all one has to do it look at what I call, the “mutual admiration society” or organizations in place for one purpose – to laud one another over mutually interesting greatness. I assure you, there are plenty of these in Charleston. The “Free Enterprise Foundation’s Annual Ethics and Civic Responsibility Awards Luncheon”, it is a prime example. When Post and Courier boss Pierre Manigualt received his ethical tea party award in 2010, the key speaker was Ayn Rand Institute Executive Director Yaron Brook. For anyone who’s studied Ayn Rand disciples in the past, this alone brands Manigault as a henchman of the New World Order (NWO). If rampant, radical capitalism were the goal of, let’s say the Rockefellers or Rothschilds, then Ayn Rand institute would be the kneeling chapel for praying to the god of money. The institute not only awards excellence in money grubbing and mind control over college students, Arline Mann, Managing Director and Associate General Counsel of the Board of Goldman, Sachs & Company is the Co-Chair of the Ayn Rand Institute. I would go through and profile all the attendees and speakers at this luncheon, but the list of sponsors suffices, they include: BB&T, Piggly Wiggly Carolina Company, The Bank of South Carolina, LS3P, College of Charleston Foundation, College of Charleston School of Business, MUSC, Trident Technical College, The InterTech Group, SCRA, and Wachovia Bank. The Free Enterprise Foundation was established in 2002 at the Citadel, the south’s and one of the nation’s oldest military academies. Its mission is stated on the now idle Facebook page, the websites of the foundation are gone now. Now I could dig a lot deeper into just how “exceptional” Charleston’s old money is, but when I found familiar names mentions alongside Manigualt and others, “my chickens came home to roost”, as Mom always used to say. The names of Manigault, Ted Turner’s son, Robert Edward Turner (Teddy), and Maybank Industries’ business development boss Braton Riley, son of longtime Charleston Mayor Joseph P. Riley Jr., conjoined over unpaid bills of a society called; the “South Carolina Maritime Foundation”. Ironically, this non-profit had to sell a wonderful wooden tall ship known as the Spirit of South Carolina. Indeed, the spirit of South Carolina I was enthralled with is bankrupt, for overreaching America’s charter in foreign waters too. This piece about Maybank people in the Republic of Georgia provides context at the Citadel, in the Charleston aristocracy, and to war mongers in the halls of power in Columbia, SC, as well as Washington DC. Some old redneck chums of mine, hunting buddies, used to holler at the top of their lungs; “The South’s gonna rise agin”. Accompanied by a customary Rebel Yell, most of us southerners were proud of our revolutionary heritage, and a bit sad the South got “whupped” back in 1865. As I type this though, it’s apparent only the poor people in the South lost anything, for the aristocrats never sunk. This is a cumbersome segue though, into another personal story. 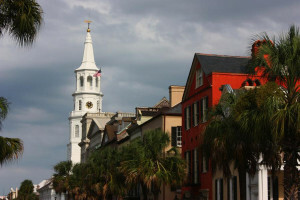 The point is, Charleston’s elite have a lot to answer for in my book. Associations. My Mom always used to say; “Bird of a feather, flock together”. In another bit of cruel irony here, I mentioned my own ties to this Charleston “exceptionalism” from the start of this story. Mom was married to John Drayton Ford, a relative of the Middletons and Manigaults etc. So my childhood access into Charleston society provides clarity here. Also interesting perhaps, Pierce Butler was another Constitutional signer, from South Carolina. But be not misled, our family usually swept floors and carried on domestic chores for the likes of the Manigaults. I am proud of the “balance” in my upbringing, you see. Dad’s people helped found the United States, and Grandpa ran a steam engine for Atlantic Coastline Railroad too. Mom’s associations reach from Seabrook Island to the top of the People’s Building in Charleston, and she picked cotton in the deep, deep south as a child too. She taught us all about the “unfair game” powerful people often make. So fear of them is not really in our DNA. I am admonished by my partner to reconcile that the Post and Courier’s owners could be guilty of absolutely nothing. My opinion is, they are among the most guilty of all though. My Dad would have called “jading” a newspaper something like “the bastardization of the US Constitution”, any maybe he would have said the Manigualts have accomplished this so far. Going from being a family that helped found a nation based on freedom, the rule of law, and country supposedly against all forms of oppression, to propagandizing academia and the public!!! Well, in the Charleston I grew up in one might as well be accused of Satan worship and the dark crafts. But then manipulation was used back then too. After all, we did go to war in Korea, Vietnam, and other places willingly. I just wonder how willing we would have been if we had known the truth? And there it is…. What’s my rub against the Post and Courier? People in the low-country, they cannot believe a damn thing the paper prints, that’s what. It there is no dissenting view, if a two year old book can be reviewed with a “truth assessment” instead of a literary view, then a view of truth is impossible. If 1000 articles naming a world leader as the anti-Christ prevail, and all agents of an entity align with one “message”, then the community is “convinced” more than it is informed.